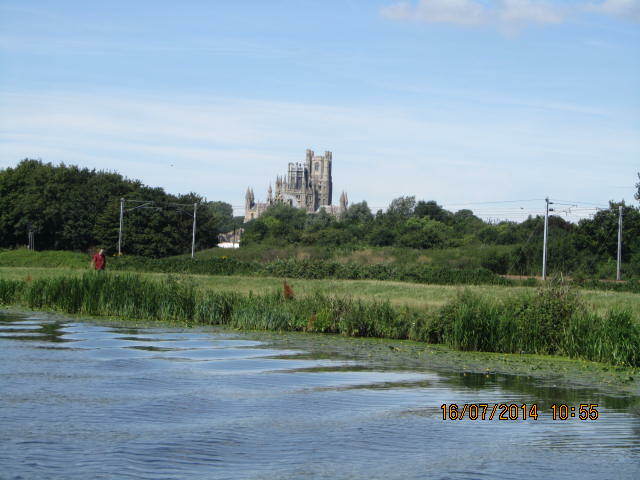 A partnership (The Water Care Partnership) is working to investigate and work towards solutions for the problems these rivers face and which have been pointed out by the Environment Agency. This is where you and your ideas and involvement comes in! It is important to consider local communities’ perspectives and skills in the care and management of these valuable natural resources. 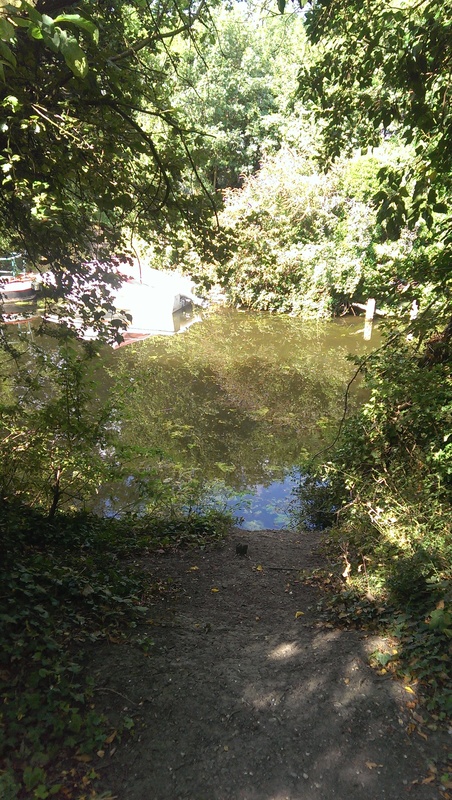 Everyone and anyone are welcome on these ‘Riverside Walks and Talks’ however the walks may not be suitable for some people like wheelchair users. Light refreshments will be provided and you can find out how to get involved with protecting your local environment. 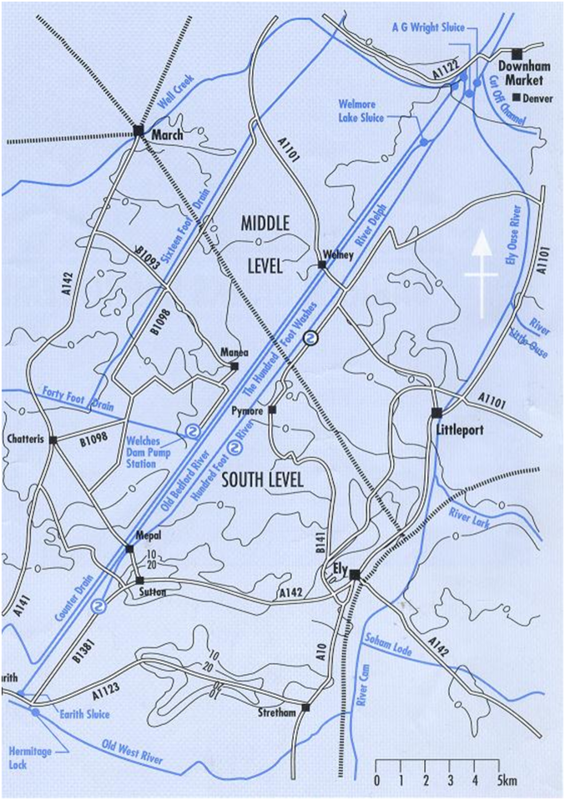 There are four walks around the area, all of which will be approximately 2 miles and may take up to 2.5 hours. 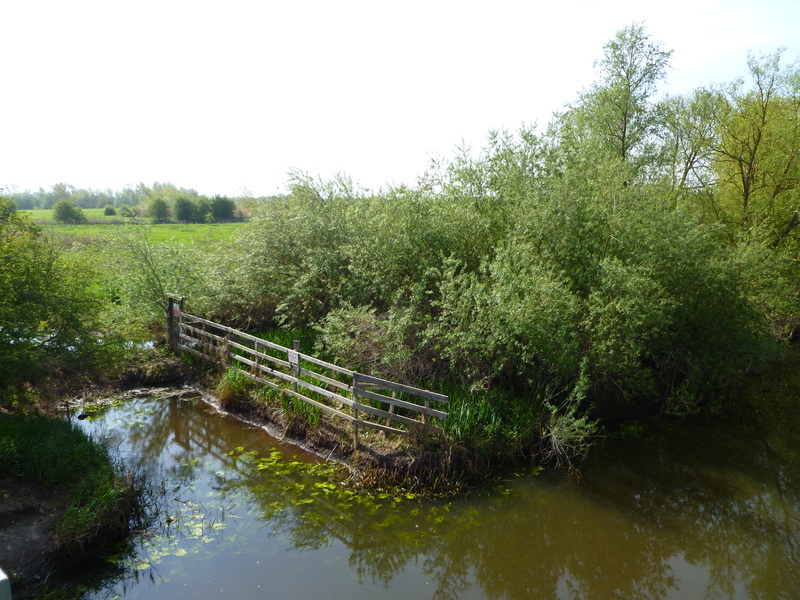 Bookings are now being taken for the Riverside Walk and Talk events hosted by Cambridgeshire ACRE for the Water Care Partnership. Places are limited and so to book your place(s), please visit: www.smartsurvey.co.uk/s/walkandtalk. For more information on the work of the Water Care Partnership please visit www.watercarepartnership.wordpress.com. 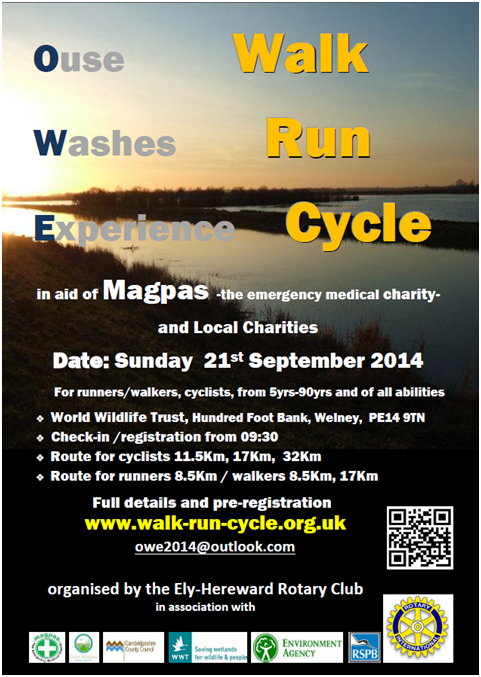 If you have any questions regarding any of the walks, please contact Jennie Thomas (Jennifer.thomas@cambsacre.org.uk or 01353 865044). 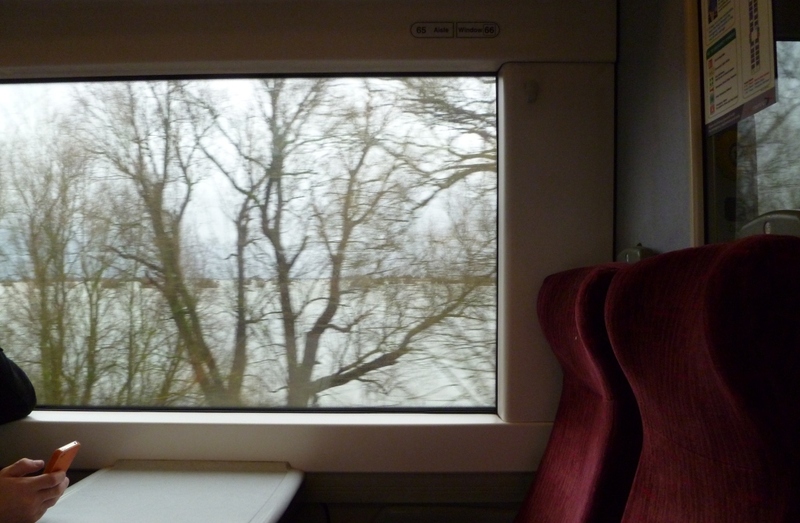 Coming back from a meeting in Peterborough earlier this week I crossed the Ouse Washes by rail, one of my favourite train journeys through the Fens. By the way, the railway bridge over the Ouse Washes is quite an engineering feat in itself, spanning the Ouse Washes across one of the widest parts of the washes. The bridge, rail line and surrounds have also been very creatively captured from the air by Bill Blake, one of the OWLP’s key partners. See for instance this image (https://www.flickr.com/photos/bblakecambridge/4101910909/in/set-72157622615800075/), or see more images within Bill Blake’s Flickr Ouse Washes photo stream. 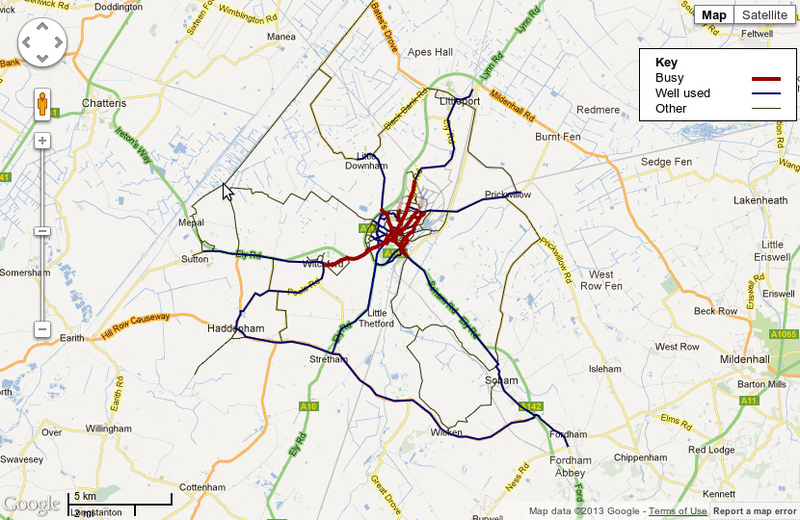 The rail line between Ely and Peterborough opened in the late 1840s. For further historic information and some good historic images of the rail crossing, see Eddy Edwards’ research page on the Ouse Washes’ crossings, at http://www.ousewashes.info/crossings/bridges-and-causeways.htm. 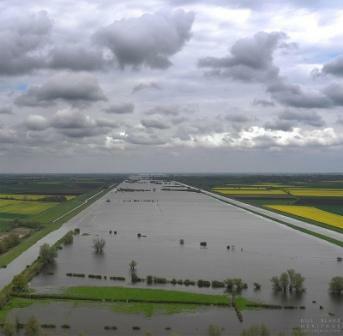 Back to the title of this blog post: as local people will certainly be aware of by now, the water within the Ouse Washes has been receding lately and the causeways at Welney and Sutton Gault are now open again. This part of the UK has been lucky – although here we have received well-above average rainfall since Christmas, it has not been as bad as in the south-west. 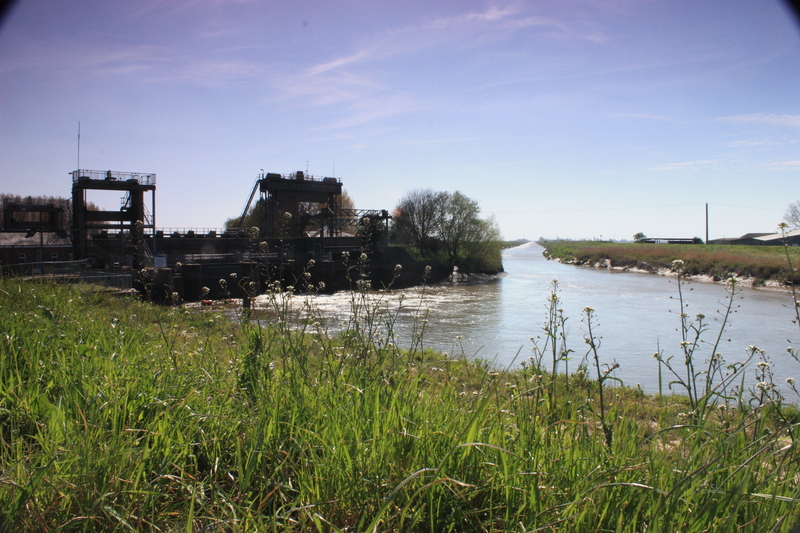 Also, the Ouse Washes, although not far off its maximum capacity, have proven to still function as intended over 350 years ago. Of course, there is no reason to be complacent, as some, localised flooding has indeed occurred along the Great Ouse further upstream and it would certainly have been a lot worse had we received the same amount of water as the southwest. 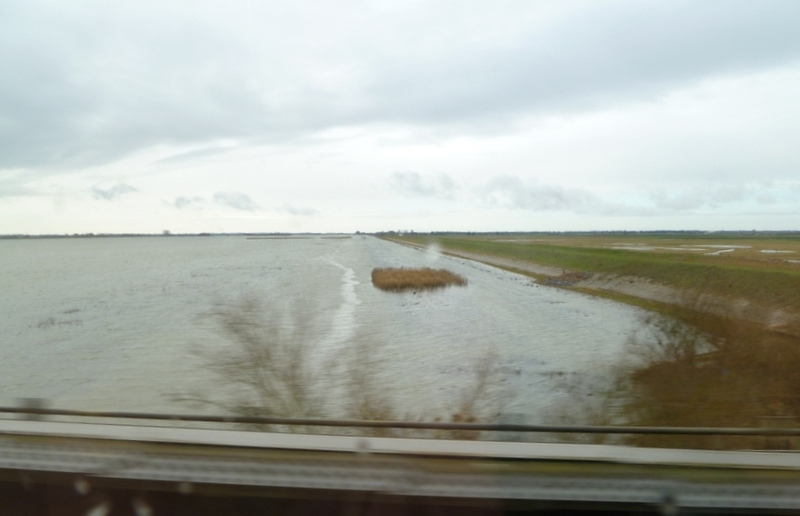 Despite the fact that the water on the Ouse Washes are receding, there nevertheless still is a fair amount of water on the washes, as these pictures I took from the train make clear. Some people have been quick to blame others for the flooding, as we have seen over the last few weeks. Of course, there is no one single answer to these problems. 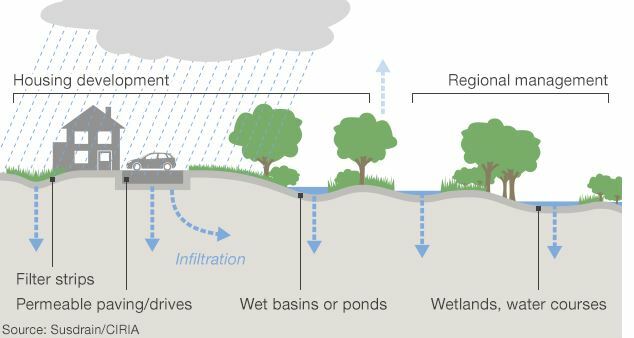 Looking at some historic flooding events in the Fens, most particularly the various flooding episodes in the Fens in the 1930s, 1940s and 1950s, similar arguments seem to have been used. During recent floods the water in the Hundred Foot Washes had been held up causing great hardship to occupiers. Yet their drainage charges have greatly increased. 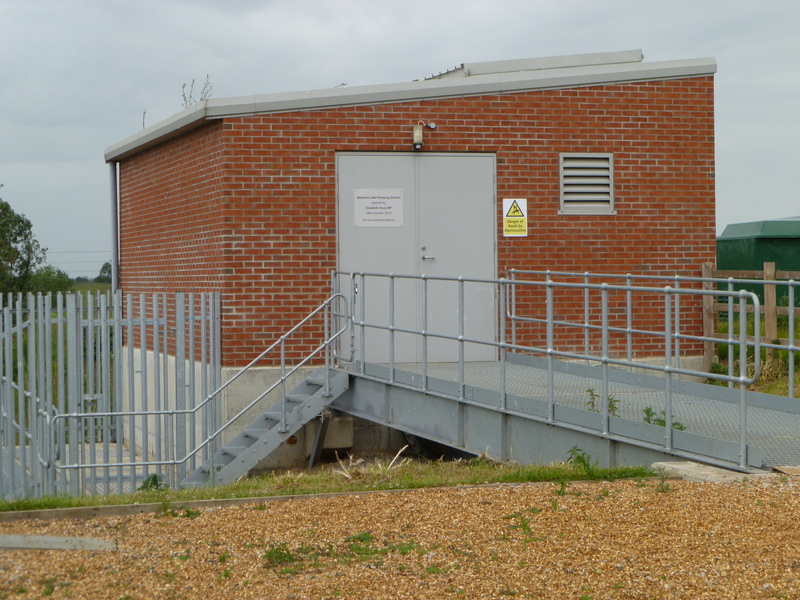 The water is let into the Wash area through the Seven Holes Sluice at Earith. 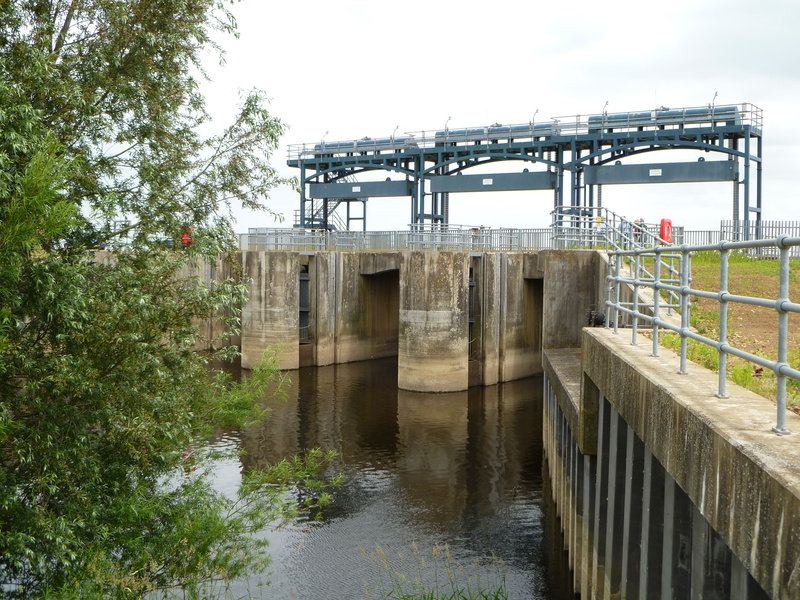 But Welmore Lake Sluice which had only been built about five years is unable to cope. 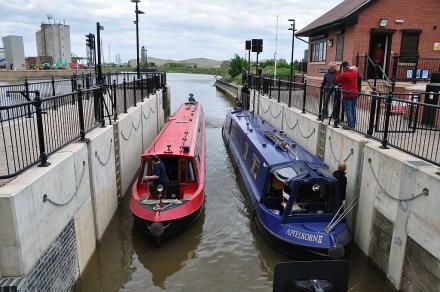 The Hundred Foot should be dredged: at Littleport it was only 30 feet wide. 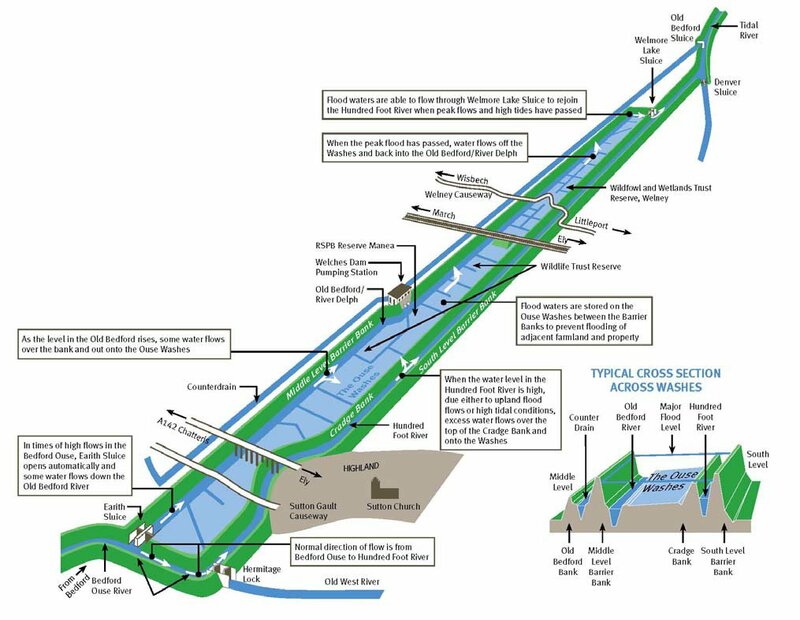 Alternatively the water should be let through the Hermitage Sluice into the OldWestRiver and then out at Denver Sluice. But the washes were there for the express purpose of taking flood waters and grazing land was hired under those conditions. The problem is that rivers in the uplands have been cleared meaning water arrives in about a day, whereas it used to take a week. 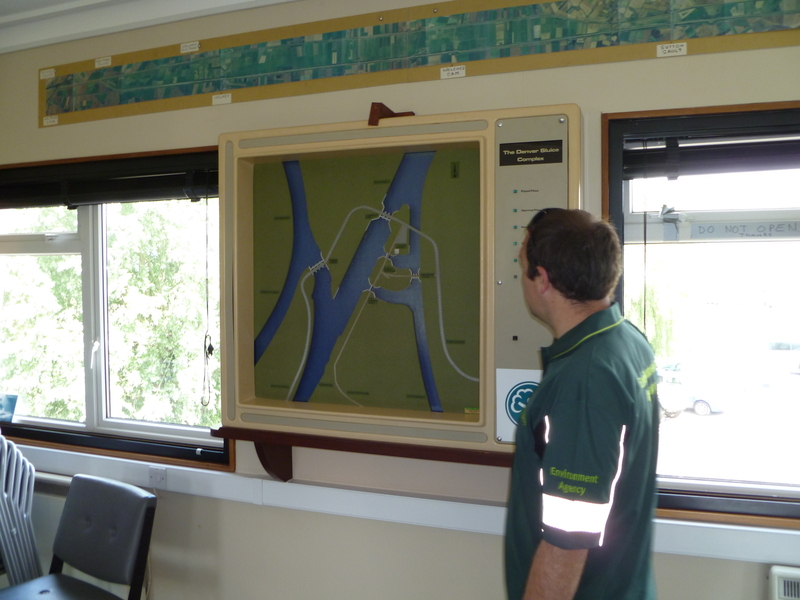 As part of the Ouse Washes Landscape Partnership scheme, we are keen to get people together so that more people will understand better what the causes are behind the problems such as flooding episodes, and to find solutions to these where possible. To start with, why not let us know what you think about the different arguments made above? Click on the ‘balloon’ to leave a comment; thank you.